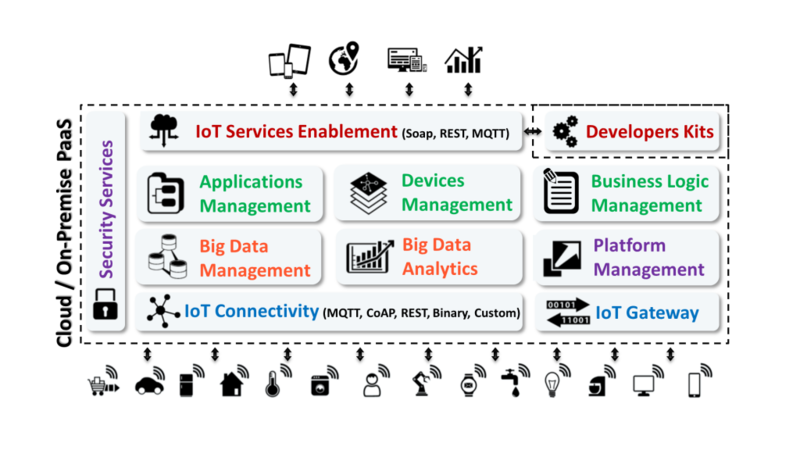 Labeeb IoT is a Cloud or On-Premise Internet of Things (IoT) Services Enablement Platform. It provides an attractive environment (i.e. platform-as-a-service, open APIs, development tools, and documentation) for entrepreneurs, third party developers and companies to accelerate the development and deployment of new IoT services, and to help them achieve faster time-to-market. Labeeb IoT can collect data from any object (or device), translate them into actionable insights, and enable a wide range of new services in a number of vertical markets, such as healthcare, transportation, industry, environment and more. Open application programming interfaces (APIs) and web-services (REST, SOAP) that fully expose Labeeb IoT features and functionalities to external systems and applications.